The 2015 theme is based on the idea of Your Perfect Toronto. Based on the various recently released economical reports about Toronto. filmmakers explored the concept of what makes a city "perfect" or "better." Drawing from other cinematic depictions of utopia, filmmakers examined the influences of infrastructure and attempt to answer some of the cynicism that plagues the Toronto state of mind. 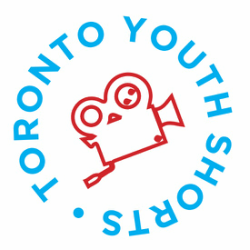 Eleven teams of young filmmakers from across the GTA signed up for the 2015 T24 Project, nine produced a film with only seven on time with a completed film to compete for the Visual Thesis Award. A young bike courier tries hard to succeed at her job. Two Singaporeans attending school in the city explore their new home and their relationship. Perfection awaits in New Toronto, if you can get there. A robbery goes wrong, resulting in a journey across the city. An anarchist recruits a young man on his mission to restore a needed balance. Two individuals experiencing an unfortunate night individually are brought together by a stranger's magic trick. Welcome to The Sixx, where we can perfect your life and make your dreams a reality. An experimental exploration of the love-hate relationship with the city. A couple tries to restore the city to one based on their ideologies.